Sir George Grey Special Collections, Auckland Libraries, NZ Map 4866. The map above is of the Dardanelles and Bosporus around the time of the Gallipoli landings. The mountainous terrain is highlighted by the pictorial style of the map. 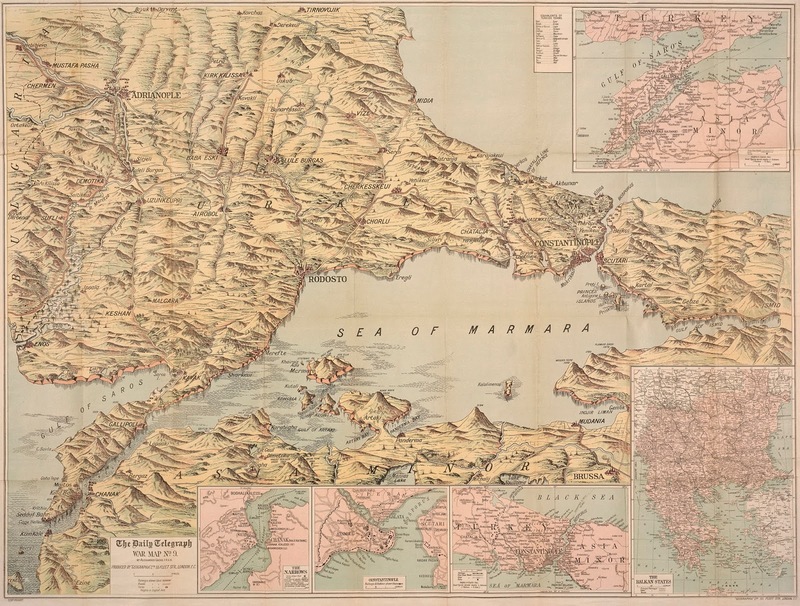 There are inset maps of Constantinople, The Narrows, the Balkan states and Gallipoli. Auckland Libraries, NZ Map 1277. The map on the left is a hand-drawn plan, showing defences at the Apex, compiled from surveys made by Privates Walton and Elmes. The Apex was a knoll at the furthest point into the range the ANZACs were able to dig -- about 460 metres from the high point at Chunuk Bair. At the beginning of August 1915, the Wellington Battalion managed to take Chunuk Bair and hold it with desperate fighting until they were relieved by two British battalions. However, these were soon overrun by overwhelming Ottoman forces and the troops fell back to positions at the Apex. The Gallipoli campaign would progress no further into the peninsula. 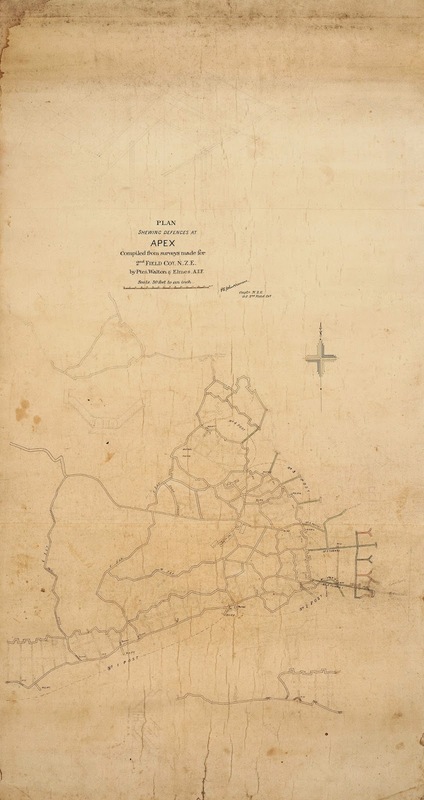 The plan shows tunnels and trenches leading up to the front line at the Apex, including one called Cuba Street. Sir George Grey Special Collections, Auckland Libraries, NZ Map 5426. The original proposed landing place for the ANZAC troops had been on relatively flat ground sloping up to the heights at Mal Tepe. ANZAC cove, however, was on one of the spurs of the Sari Bair Range that jutted down to the sea, and the troops were immediately confronted with steep hills cut by deep ravines. Most of this ground was overlooked from the hills and exposed to enemy fire. 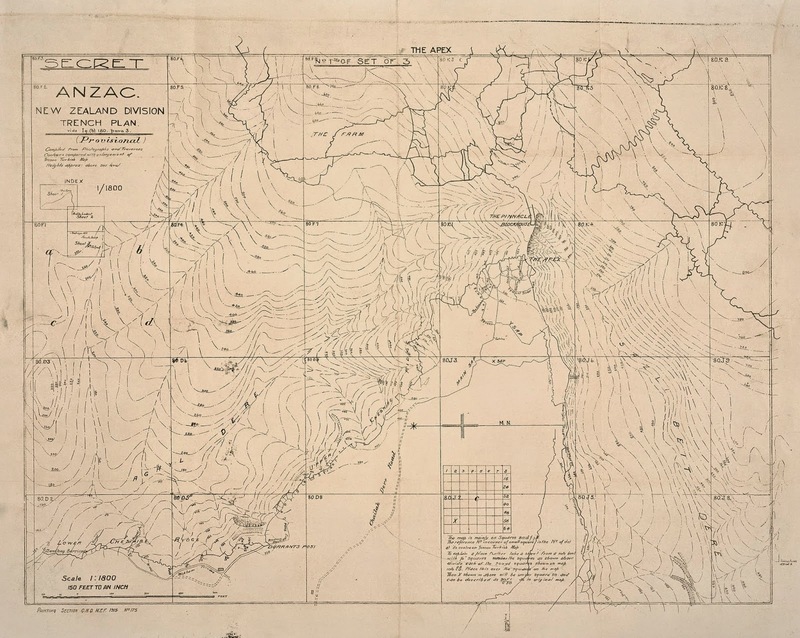 The topographical map above is the first sheet of three showing the New Zealand positions at Gallipoli. This map shows the Apex, just below Chunuk Bair. Special Collections, Auckland Libraries, NZ Map 3037. 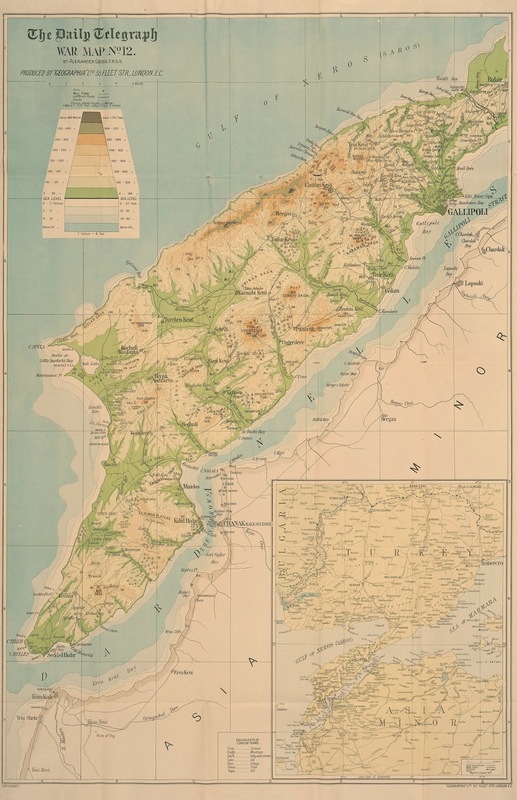 The map above is of the Gallipoli peninsula and shows areas where ANZAC troops were entrenched. The key at the top of the map indicates the term: 'indifferent roads' and the map also includes a glossary of Turkish terms and topographical elements. Author: Zoë Colling, Sir George Grey Special Collections. With information from the 'It'll be over by Christmas: World War 1914 -1918' exhibition labels by Ian Snowdon.